The Air Traffic Controller at the Jaipur base watches his radar scope in panic and disbelief as the Piper Malibu carrying Rohit Gaekwad and his brother-in-law disappears into thin air. Rohit is not just his party’s next Prime Ministerial candidate, but also a reluctant heir to his family’s political legacy. Soon after, the wreckage of the plane is discovered scattered over the Rajasthan desert, sending the media as well the nation’s public into a tizzy. As Rohit’s sister sweeps the general elections, riding a massive wave of public sympathy, some uncomfortable questions remain. Who is behind this audacious plan? What could be the reason behind this high-profile assassination? The proverbial finger seems to point at India’s geopolitical enemy, Pakistan, but not everyone is convinced. Anwar Islam reunites with his mentor Colonel Vijay Gupta, and his friend Vishal Karandikar to find the missing pieces of this puzzle. As the trio explores the dark alleys hidden behind the façade of India’s seat of power, unbelievable conspiracies come to light. 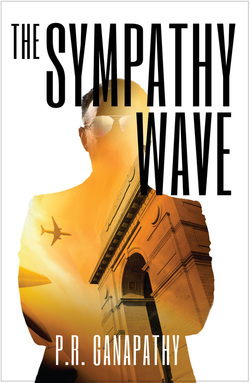 A gripping thriller, The Sympathy Wave takes it reader into the heart of political India to uncover a nest of intrigues. The Sympathy Wave, was published by Westland, one of India's largest publishers, in late December, 2013.